My son loves Italian food. Then again, as a growing teenager he loves FOOD! 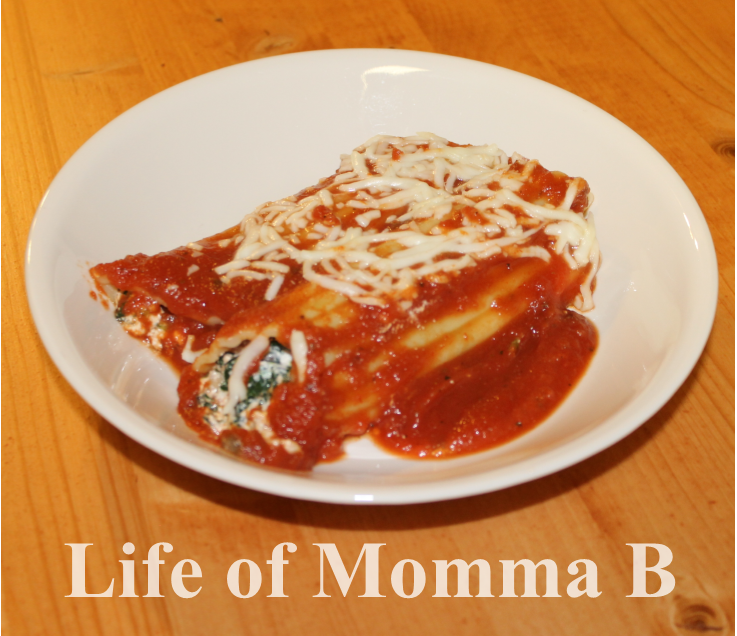 Spinach and Mushroom Manicotti is one of his favorites. Surprisingly enough it actually fills him up, at least for a little while. Well, it along with a tossed salad and garlic bread. Saute mushrooms and garlic in butter, until all the water released from the mushrooms has evaporated. Set aside to cool. Cook the noodles according to the package directions until al dente. Place in iced water to stop the cooking process. In a large bowl mix ricotta, spinach, mushroom mixture, salt and pepper. Using a small spoon, fill the noodles and place in baking dish. Cover with remaining sauce and mozzarella cheese. Bake at 350 for 20-25 minutes until the cheese is melted and the noodles are heated through. TIPS: I have found that a baby spoon works best for stuffing the manicotti noodles. Makes 7 adult size servings. This entry was posted in Recipes and tagged cheese, main course, mushroom, pasta, spinach. Bookmark the permalink.